J7Z is a simple archiving program that integrates into Windows context menu. It’s a small utility that provides compression and decompression. The program supports a variety of extensions as RAR, ZIP, TAR, ISO, GZIP and others. This software hasn’t a launcher icon. It runs up via the context menu. If you want to create an archive, just use right-click of the mouse and select J7Z. Then choose Create → Custom command. The program window will appear. There are two tabs: specifications and locations. Specifications tab allows you to select an algorithm, test check box, type of compression, self-extracting option, header encryption, volumes, and password. You can also choose another option from the drop-down list. For example, Default option allows you to create an archive in the same folder as source files in it. Locations tab allows users to choose an output folder. There are also two checkboxes here: separate and structured. Separate means that your archive will be created in the output directory that you have pointed earlier. 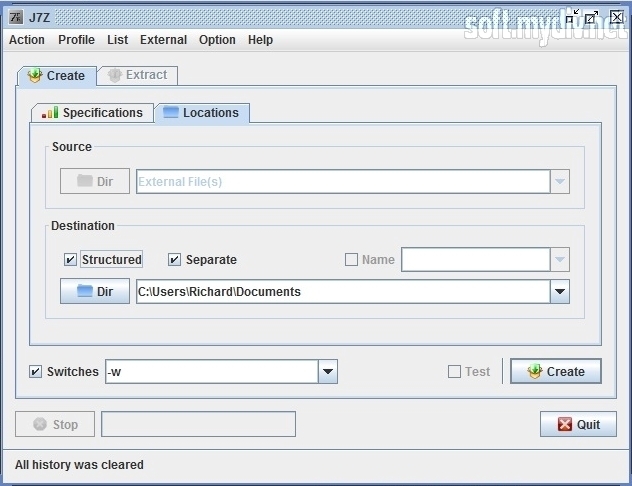 The structured option will make tree folder path that your unpacked file has. You can also use Extract → Custom command via context menu if you need to decompress your archive files. Extract window also has 2 tabs, Specifications, and Locations. 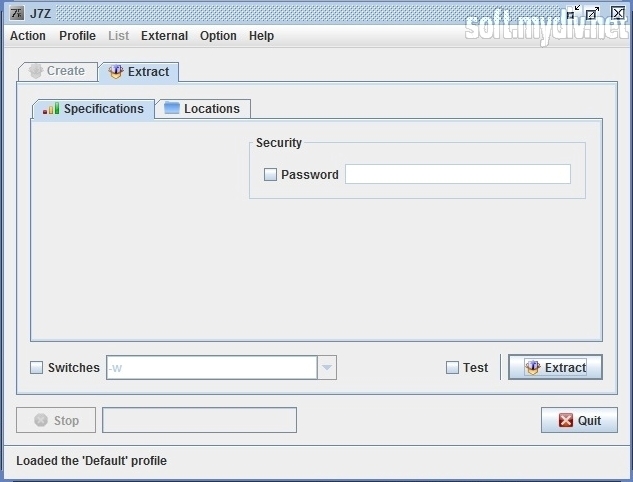 To extract an archive you need to enter a password and choose the output directory. J7Z is a very simple tool. The author describes it as the alternative utility to 7-Zip. Profile system provides quick performance.